Analytical skills are a powerful set of tools and techniques to understand problems and work toward solutions. The value of analytical capability is much in the news: consider the rise of data science and Big Data. In 2015, I wrote Adding Value with Big Data Projects for ProjectManagement.com to explore one aspect of the analytics opportunity. This year, I wrote Career boost: Break into data science for InfoWorld to define the career opportunity in data science. However, not all of us are interested in those areas. In that case, how should you approach developing your analytical skills? Break Down Problems. Many people get stuck when considering a large problem. Analytical skills help to break down problems into smaller parts which are easier to solve. Gathering & Evaluating Information. Also known as information literacy, this skill allows you to separate the wheat from the chaff. After all, you don’t want to embarrass yourself at work by presenting out of date or incorrect information. Managing Information Effectively. The ability to manage ever increasing amounts of information is important. This skill set includes both personal information management and organizational efforts. If you use databases, use Evernote, manage a SharePoint site or use other similar resources, you already have this skill to some degree. Generate Alternatives & Solutions. Over time, I have learned that there are many paths to success in life and business. With strong analytical skills, you will be equipped to generate additional alternatives and therefore achieve success. You can also use analytical skills to evaluate and rank alternatives. Comprehend Difficult Reading Material. From time to time, there is a need to read and understand complex reading material at work. It could be a new corporate policy that requires implementation. It could be a technical document explaining how to use an application. Analytical skills help you to read such materials and put them into action. The following situations are easier to manage when you have well developed analytical skills. Other knowledge and skills come to bear in these situations (e.g. relationships with important people and technical skills). Yet, analytical skills often prove vital in navigating through the situation. If you are struggling with uncertainty or doubt, an analytical approach can help to put you on the right track. The first instance of a problem is usually misleading or incomplete. A leaking pipe in an office in a production facility appears to be a simple maintenance problem. However, there are other aspects to the situation such as ineffective management oversight or aging infrastructure issues. Simply defining the problem as “a leaking pipe” would fail to capture the whole scope of the problem. Understanding your organization’s capabilities and opportunities requires an analytical approach. It is easy to overestimate what an organization can do and misunderstand competitors. Analytical skills help to reduce cognitive bias thereby improving the quality of the strategy. Delivering quality remains important and it cannot be assumed. 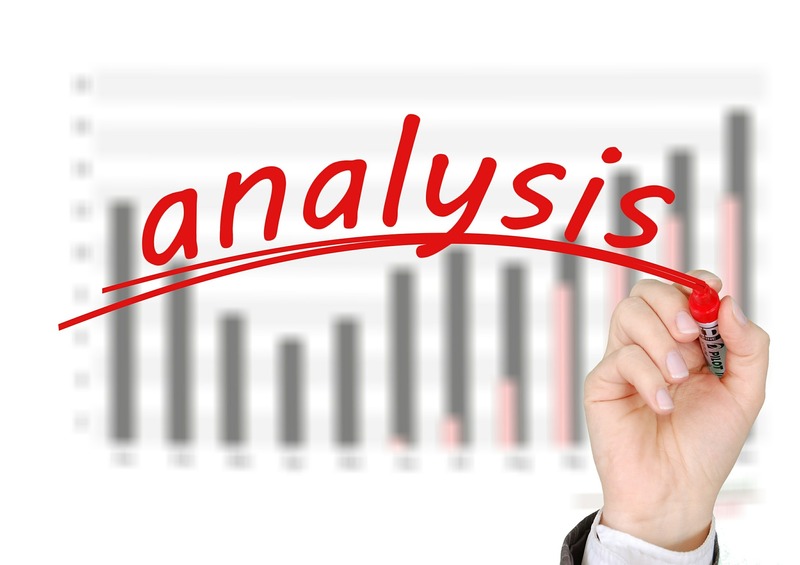 Analysis plays a valuable role in detecting and evaluating quality failures. The PMBOK Guide’s list of quality tools require an analytical approach and a willingness to go step by step through those tools. To operate at scale, it is valuable to look at your work as a process or a system. My view of process is inspired by the classic business book The E-Myth Revisited – a series of defined steps that create success. Analysis contributes value in two ways. First, an analytical approach is needed to document each step of the process. Once that documentation is in place, analysis comes to play again in looking for ways to streamline the process thereby saving time and money. Tip: Looking for accomplishments to add to your annual review? Demonstrating increased productivity by improving a process is a great approach to take. For example, “Saved 5 hours per month in project reporting by implementing streamlined reporting process,” would show that you have delivered a meaningful improvement. I am excited by the vision and possibility of goals! There is a time and place to dream big and consider your options widely. For example, the 5 Days To Your Best Year Ever goal setting program lays out a five day process to define annual goals (I’m a fan of that program!). What happens after those goals are set? If you want to make progress and achieve those goals, analytical skills help. Tip: If you feel stuck working on a goal, look for the smallest step you can take to move forward (e.g. set up a meeting to gather input, write a draft one page project charter). This concept is adapted from BJ Fogg’s excellent Tiny Habits program. As a growing professional, there is a constant need to learn new skills. It could be a new enterprise software program at your company. Or it might be further developing your communication skills. This idea is inspired by Tim Ferriss’s learning book, “The 4-Hour Chef: The Simple Path to Cooking Like a Pro, Learning Anything, and Living the Good Life.” Ferriss points out that cooking skills are easier to learn when you break down the process into discrete steps – an approach that works for many other skills. Tip: Over the past year, I have developed the “inputs, transformation, outputs” model for learning new processes and activities. It is a simple and effective mental model that guides one through the activity. Explore the following resources to continue your development in developing your analytical skills. These resources are only the tip of the iceberg. Dig in and develop your analysis skills further. Data Is Useless Without the Skills to Analyze It. This HBR article points out that raw data yields little value. Skilled people are essential to review it and draw useful insights from data. Bit Literacy: Productivity in the Age of Information and E-mail Overload by Mark Hurst. Managing an ever increasing volume of information is part of analytical skill. This book and other resources help to guide you through the process of finding the information that matters. Problem solving and data analysis (Khan Academy). Whether you like math or not, the mathematical perspective adds much value. This free online video course shows how to use math concepts to understand data. Reasoning, Data Analysis, and Writing Specialization (Coursera). The ability to weave together data, words and logic in a compelling way is a powerful skill. In this three course online certificate program, you will learn how to make that happen.